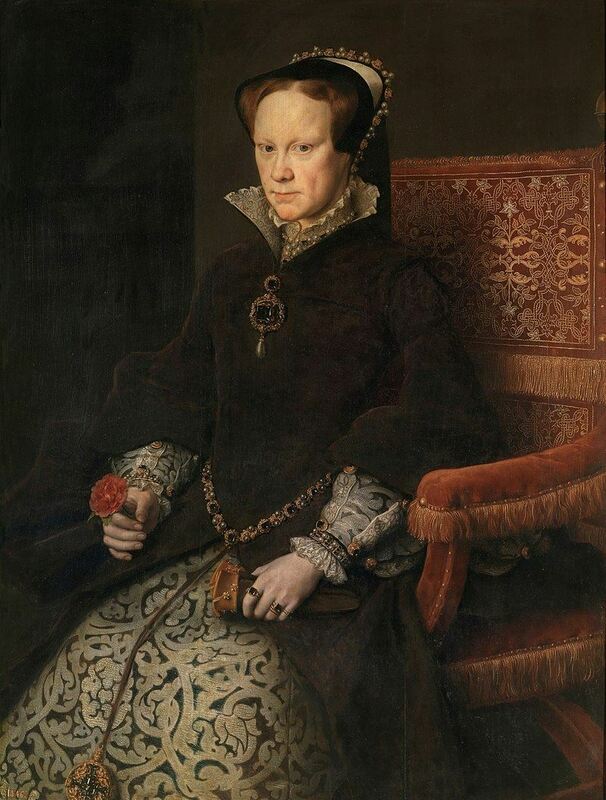 Mary I was the Queen of England and Ireland from July 1553 until her death in 1558. Mary was the only child of Henry VIII by his first wife, Catherine of Aragon, to survive to adulthood. Her younger half-brother Edward VI succeeded their father in 1547 at the age of nine. he attempted to remove Mary from the line of succession because he supposed (correctly) that she would reverse the Protestant reforms that had begun during his reign. The executions that marked her pursuit of the restoration of Roman Catholicism in England and Ireland led to her denunciation as "Bloody Mary" by her Protestant opponents. Mary was weak and ill from May 1558. In pain, possibly from ovarian cysts or uterine cancer, she died on 17 November 1558, aged 42, at St James's Palace, during an influenza epidemic. She was succeeded by her half-sister Elizabeth.